Despite my frequent visits to the city, it’s rare that I get the opportunity to spend more than a few hours in the magic city known as Birmingham, Alabama. Late January proved to be on of those precious times as I was in town for a two day stint at a conference. Flushed with time to spare, I decided that I should pay a visit to some Birmingham institutions, starting with the only Alabama recipient of the James Beard “America’s Classic” award, the Bright Star in Bessemer. I’ll be quite frank, I was blissfully unaware of the Bright Star’s national accolades until I began researching this piece. My knowledge of this Alabama institution stems from John T. Edge and his book “Southern Belly” as well as his 100 Southern Foods list he penned for Garden and Gun Magazine. 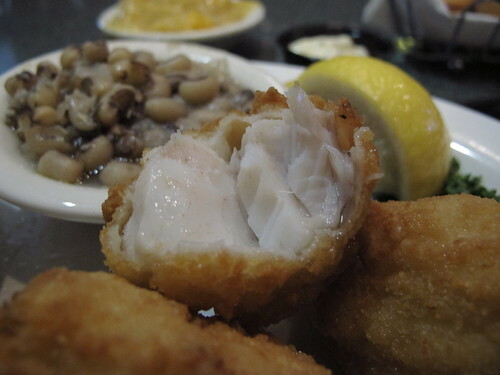 In the southern foods list, Edge tells the virtue of The Bright Star’s snapper throats. 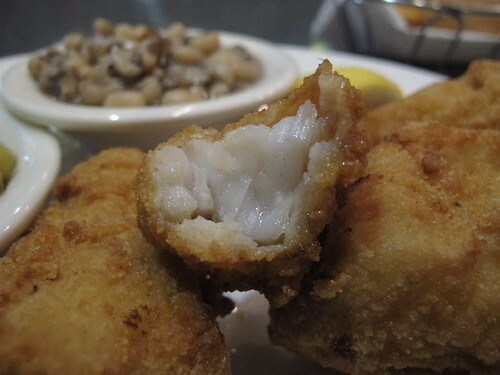 Now I’ve spent my fair share of time in Greek diners in the Southeast from comeback and crackers at the Mayflower in Jackson to the temptation of a gyro meat and tzaziki omelette at the White House in Atlanta but that was the first time I heard the idea of fried snapper throats. Knowing the succulent textures of a well cooked yellow tail throat with hamachi kama, I was interested to see how an oft discarded piece of the fish would take to a little deep frying. 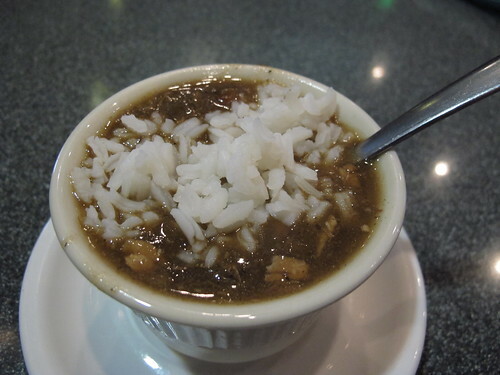 But before getting to the raison d’etre of this lunch, it was time for a gumbo interlude and The Bright Star does a fair job with this Louisiana specialty. 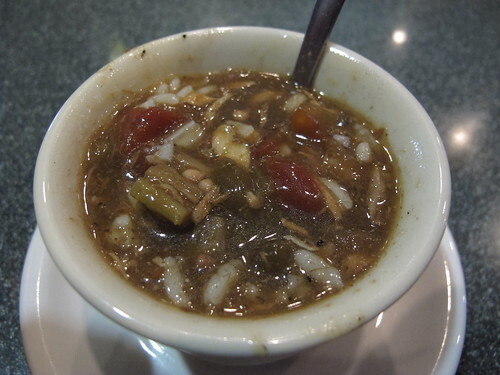 Hot and thick, this gumbo was brimming with tomoatoes and okra not to mention a chili pepper tail to finish each bite. While there was a substantial amount of shredded chicken in this cup of gumbo, the time spent at a simmer left its mark on the white meat. When it came to the snapper throats, I wasn’t entirely sure what to expect. Would it be an entire throat, dipped in batter and fried to a hearty crisp? Would it be chopped bones with tiny nuggets of meat? The snapper throats were nothing of the sort. With nary a bone in sight, these snapper throats were remarkably easy to eat. For each “throat” a nugget of sweet and incredibly juicy meat was wrapped in a thick but surprisingly crispy batter. Beautifully paired with a squeeze of lemon, salt and pepper, this was a unique cut of gulf fish prepared remarkably well. After eating, there was a sizeable pool of grease left on the plate, but it was a necessary evil like the thick batter. It may have been a bit clumpy and unwieldy but the succulent fish inside was worth it. 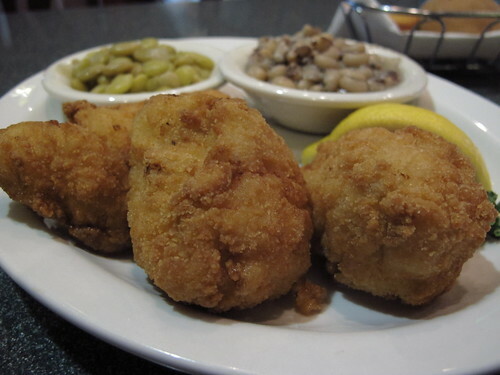 The rest of the meal was much of your standard southern fare, butter beans, black eyed peas, etc, nothing particularly remarkable apart from the cornbread. 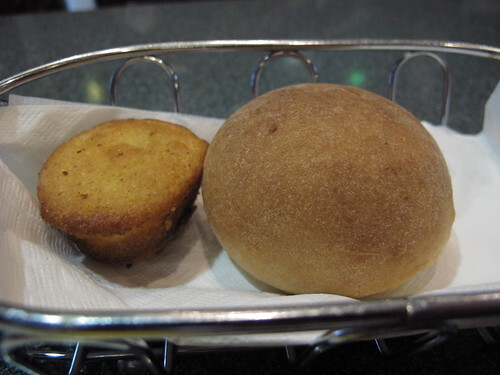 Tiny, crusty and crisp on the edges, and a bit salty, it was crumbly and sublime when paired with the vegetables. Initially I was skeptical of the Bright Star’s age and status. It seems that with many storied and established restaurants, the kitchen is fueled by memories and tradition rather than the current quality of their food. Thankfully, The Bright Star escapes that trend and offers a unique, well crafted dish in a setting with charm and atmosphere to spare. In my mind, their award and mentions in John T’s writing are well deserved; I just hope that The Bright Star keeps earning that James Beard award.